Thank you, Kristin and Eva, for hosting Paint Party Friday!! Very creative - love the banners! Great banners and yes, thank you very much for hosting. Happy PPF and Dia de Los Muertos Day. I always love the creativity of the banners, always so innovative!!! Love the creativity of you guys, fab banners. Ha ha love the banners Kristin and Eva. Happy PPF to you all again. i promise I will do an interview for you soon! hope it helps.I can't imagine missing PPF! Great to make it here this week, will have to try and submit something one day....for now just scraping through as very busy with my toddler, just so happy to art when I can! Finished another wacky bird last weekend - not too much going on this week with gs off from school! I think the problem with artists telling their stories is this - you really want to interview me????? Not easy for an untrained artist just beginning in some ways to put themselves out there. Yay! I'm back to the party this week. I can't believe there are no takers to be interviewed - it's such a great way to get to know people! I hope some of you wonderful artists step up to the plate. I finally tried a sketch of my orchids. Thanks for the "nudge", I had to have something for PPF. My second week on PPF, thank you all for coming to visit and support me! I'm starting two 30 day challenges this week so I will be painting my heart out! Thanks for hosting and Happy PPF! Wow! Love the billboard!! 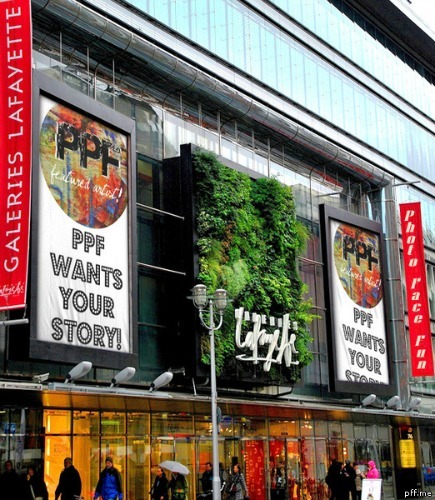 Happy PPF!! Always a great party! Thanks for hosting! Better late than never! Going to check out your featured artist call for sure:) TGIF! Thanks for hosting, I sometimes am not sure what to say about my art, so I'll mull on your questions for a bit :).